Mr Hanbury’s Mason Arms has been included in the Michelin Eating Out in Pubs Guide 2017, have been awarded 2 AA Rosettes for culinary excellence, as well as being rated as a 5* inn. 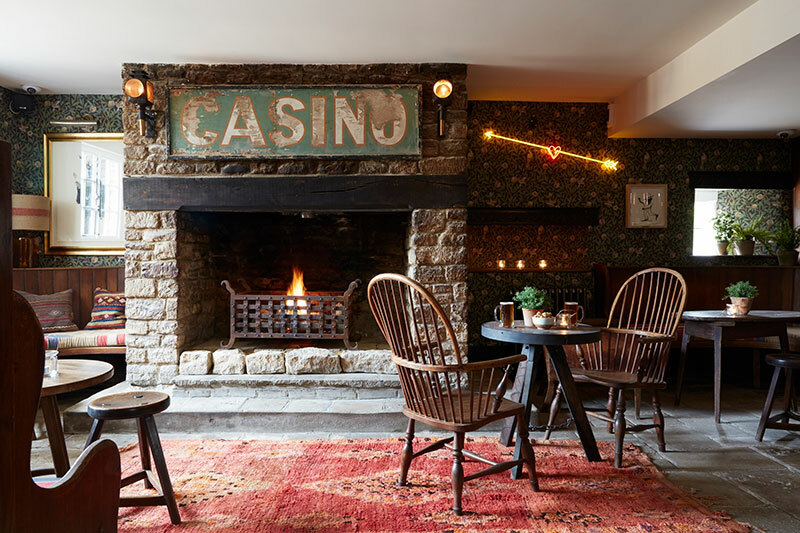 Mr Hanbury’s Mason Arms offers the warm welcome of a traditional English Inn with an eccentric twist. Nestled in the beautiful Oxfordshire countryside, we're a countryside pub with an inventive menu of seasonal and home-grown produce in an intimate setting, all helped along nicely with fine wines and local ales. Our head chef, Leon Smith, is all about rummaging through nature's larder. Be it foraging for wild mushrooms, flowers and herbs, growing our own fruit and veg in the garden or sourcing the very best local meat and dairy suppliers, Leon’s menu in an ode to the Oxfordshire countryside. This 16th-century inn has five luxurious bedrooms nestled under its cosy thatch, as well as the Barn Suite located in the outbuildings. At Thai Bangla, our aim is to bring the best cuisines with an emphasis on refined yet creative cooking on traditional method.